The musical summits gave way to recording sessions in Jamaica, Cameroon, London and at home in Paris, where Helene and Celia were joined by African jazz legend Manu Dibango, pianist Ray Lema, classical musician Benjamin Biolay, dancehall reggae stars Morgan Heritage, UK electronica wizard I.G. Culture, Mounir Belkhir, the poetic producer of the US hit track “Makeda” and more. For Les Nubians, these diverse sessions were a chance to work with some of their biggest influences, while bringing together the music of a wide range of cultures and generations. 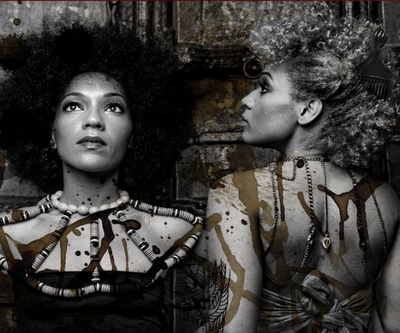 Multi-cultural sensibilities come naturally to Les Nubians. Born to a French father and Cameroonian mother, Helene and Celia learned how to sing at a young age. Inspired by a backstage meeting with jazz singer Abbey Lincoln (who encouraged them to “do it-the greatest thing in the world is to be a singer!”), the group pursued their music relentlessly. Their debut “Princesses Nubiennes” was a successful amalgam of the music they’d experienced during their life travels, combining their African roots with jazzy nuances, funky rhythms and a hint of British soul, all delivered in their uniquely elegant French style. A long and varied list of musical influences are attributed to Les Nubians’ distinctive sound, including Miriam Makeba, Ella Fitzgerald, the Fugees, Fela Kuti, and Jazzie B of Soul II Soul. Les Nubians were nominated for the 2004 Grammy Awards in the Best urban alternative R&B category, along with Erykah Badu, Outkast, Music Soulchild and Khelis. 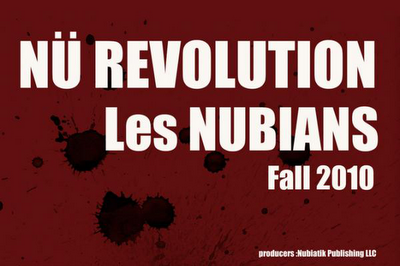 Les Nubians are now touring and visiting new countries and territories ready to catch their afropean flavour. 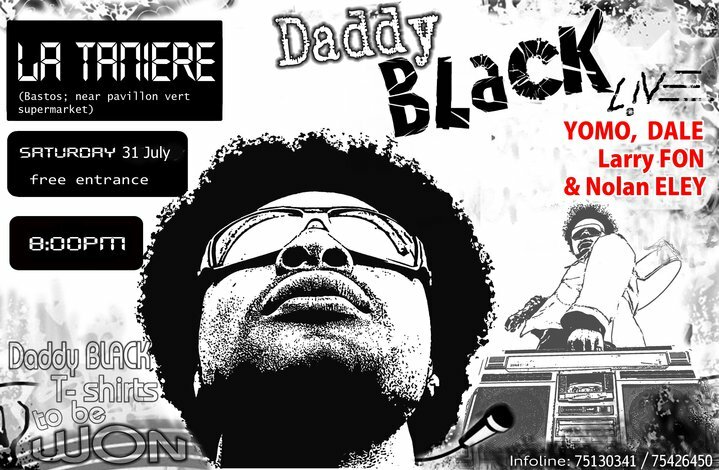 Daddy Black Live at La Taniere, Yaounde. Hall, Bastos near Pavillon Vert Supermarket, Yaounde. Come and experience a sensational and thrilling live performance. The emblematic captain of the Indomitable Lions, Rigobert Song has convened a press conference to hold on Sunday at the Hilton Hotel in Yaounde. During this press conference, he is expected to officially declare the end of his football career. Rigobert Song Bahanag began his career as a footballer at Red Star Bangu. He then played in the biggest clubs in Cameroon (Tonnerre Kalara Club) , in France (FC Metz RC Lens), Italy (Salernitana), England (Liverpool and West Ham United), Germany (Cologne) and in Turkey (Galatassaray and Trabzonspor). He is the only African to have played four finals of the FIFA World Cup, seven finals of the CAN (32 games) and two Confederations Cups. Rigobert Song has to his credit, 530 games, and holds the record of selections in the Indomitable Lions (137). Jacky Kingue currently preparing his 3rd album. The young singer who has had a long European adventure is getting set to stage a massive return to the music scene. Jacky Kingué, since his last album Un pas de plus, has collaborated on album projects of artists such as Papillon, Chantal Ayissi and recently Benji Mateke. He now owns a recording studio in France. Benji Mateke’s latest album was produced in this studio. 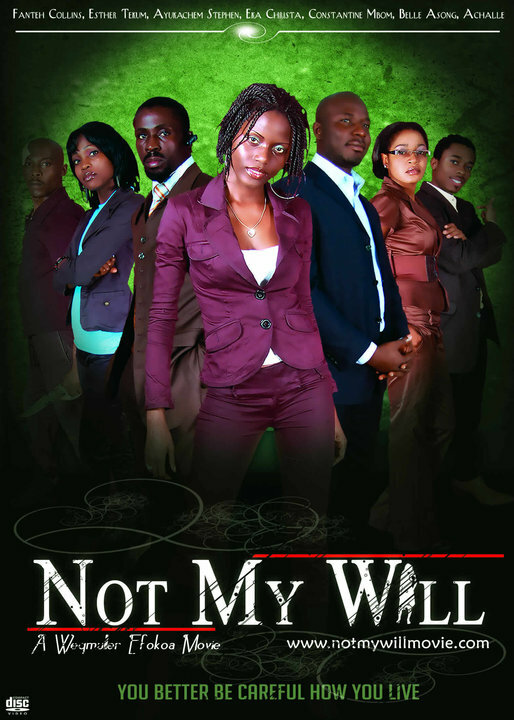 MOVIE: ”Not My Will” official launch party. Location: Chariot Hotel Banquet Hall, Buea. Guest Artists: Stipac, Achalle, Bright Phase, BAAM, Dr Sley, Y.A Squad, Tata Kingue, Steveslil, Witty Minstrel, Zinnia. 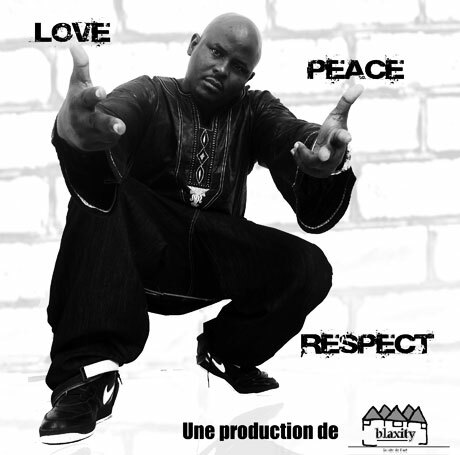 Tony Nobody ‘s brand new album “Love, peace, respect” has been in stores since July 20th , 2010. 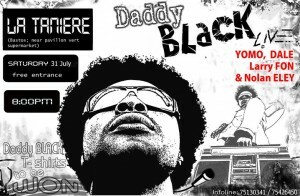 It is an 18 tracks album which features artists like X Maleya, Bobby Shamahn, Miles, Babou, Adah, Sidney, Supremede la confrerie, Black la rue, 20 cent, Terry P, Mervey, DJ Sunshine, and DJ Panebo produced under the label Blaxity “La cite de l’art “. In this album dubbed “love, peace, respect” , Tony Nobody depicts the themes of love, betrayal, migration, social conflict, and hope. Father of three lovely kids (Jeff, Ruben and Anouchka), Tony Nobody shares his life with his beautiful wife, Jacky. Paul Tonyé Marcel a.k.a Tony Nobody was born in New Bell, Douala . After high school, he preferred to pursue a career as an artist. Nobody has been imposing on the landscape of hip hop in Cameroon with radio broadcasts (Bled city on Nostalgie), TV (Mboa on Canal 2), events (Sprite Hip Hop Festival , Mboa Hip Hop Awards . He is the founding member of the group, Bantu Posi, (with his cousin Feros) “Guichi K and Diblai D now Final D joined us ,” he said. He left Bantu Posi in 1998 . He quit the group after a concert with Kassav due to some misunderstanding with the band’s manager then , Theo Mbouma Bissai. Same year, he joined DJ Rene Cool’s label, So Sound Records. 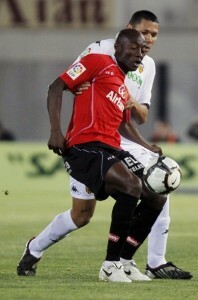 SPORTS:Eric Djemba Djemba linked with West Bromwich Albion. 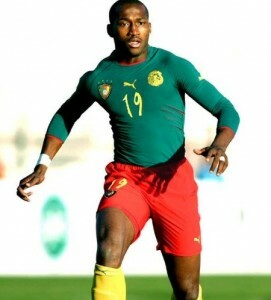 Former Manchester United and Aston Villa midfielder, Eric Djemba Djemba has been linked to Barclays Premiere League newcomers, West Bromwich Albion. His present club, Odense has allowed the 29 years old Cameroonian midfielder to travel to England to negotiate his transfer deal. Djemba Djemba had a spell at Manchester United in 2005 . He played for Qatar SC before moving to Danish club, Odense 2 years ago. Achille Webo’s team will miss UEFA Europa League 2010/2011. European football’s governing body UEFA, announced last night they had denied Achille Webo ‘s Mallorca entry to the upcoming season’s competition after deeming that they had fallen foul of financial regulations. Mallorca are set to appeal the decision but Villarreal tonight announced they had been informed they would be taking the cash-stricken club’s place. UEFA’s statement, on the Villarreal website, read: “In relation to the decision taken by the Committee of control and discipline on July 22, we want to announce that RCD Mallorca have not been admitted into the UEFA Europa League 2010-2011. The relevant ruling states that any club not admitted will be replaced by another of the same federation and that if the sanctioned club are not the cup winners, the team that replaces them must be the one that was best positioned in the league standings. Mallorca in May applied to go into voluntary administration after amassing debts thought to be in the region of 70million euros. Mallorca have reacted angrily and are preparing to challenge the ruling. New coach Michael Laudrup is hopeful the ban will be overturned. SAMUEL ETO’O’s stolen Bentley GT63 recovered by police. Hungarian police on Wednesday, last week recovered Eto’o‘s luxurious Bentley GT63 at the boundary between Hungary and Serbia. According to our sources, the vehicle was stolen in March this year. It was during a passport control, police officers noted that the official matriculation plate of the vehicle was fake and the car had forged tax stickers . After reviewing the serial number of the car, the police discovered that the Italian police were in search of the vehicle , “said a police Hungarian. The Bentley GT63, valued at more than 150,000 euros was stolen March 19 in the parking lot of Sheraton hotel in Milan’s Porta Venezia District. The Ukrainian driver, who claimed he did know the car was stolen and was taking it to Greece for a Polish woman he was working for, was arrested, while his companion was allowed to go after questioning, the police spokesman said.